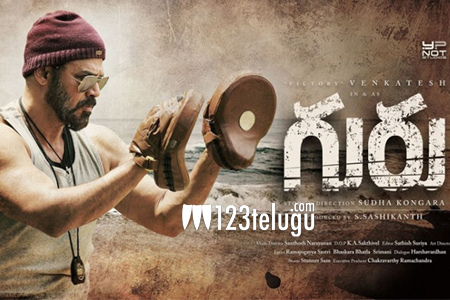 It is known that Venkatesh is currently busy wrapping up Guru which is the remake of Tamil movie Irudhi Suttru.The first look posters of this movie caught the huge attention of the audience . Meanwhile, an interesting update regarding this movie is that the heroine’s character in the film is a big fan of Pawan Kalyan. Directed by Sudha Kongara Prasad and produced by S.Shashikanth under Y NOT Studios banner this movie has Ritika Singh as the female lead. S.S.Thaman composes music for this movie which is slated for a January release.